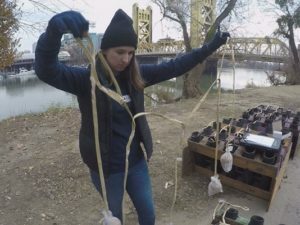 With a few hours lefts in 2017, a pyrotechnics crew of about 20 people spent Sunday preparing for the New Year’s Eve Sky Spectacular Show in Old Sacramento. “This year, we’re doing a lot of special stuff over the bridge. If you’ve never seen a fireworks waterfall before, you want to get down and see it,” said Mike Knezovich, a pyrotechnics operator for Pyro Spectaculars. Knezovich explains that the most challenging part of his job is making sure there’s consistency when crews are loading and wiring each shell. 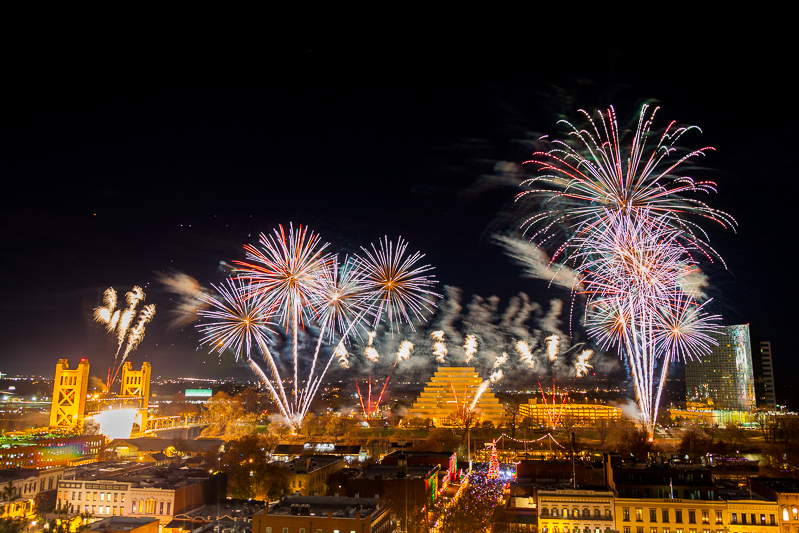 Knezovich tells ABC10 there will be about 1,000 fireworks, plus hundreds of other individual effects displayed over the Sacramento River. “You’ve got the aerial fireworks as the backdrop, and then you’ve got the low-level fireworks lined up all across the river walk,” adds Knezovich. One of the pyrotechnicians who was in charge of loading the racks of mortar tubes at one of the four different launch sites said it was a privilege to be given that task. “I think just the magic of creating something that you share with everyone watching and everyone on TV – I just love looking at people’s faces – and seeing the joy that we could bring to them,” said Kelly Souza. 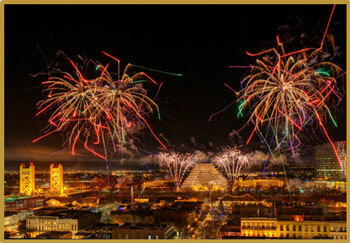 ABC10 will be broadcasting the Sky Spectacular Live show from 8:45 p.m. to 9:15 p.m.